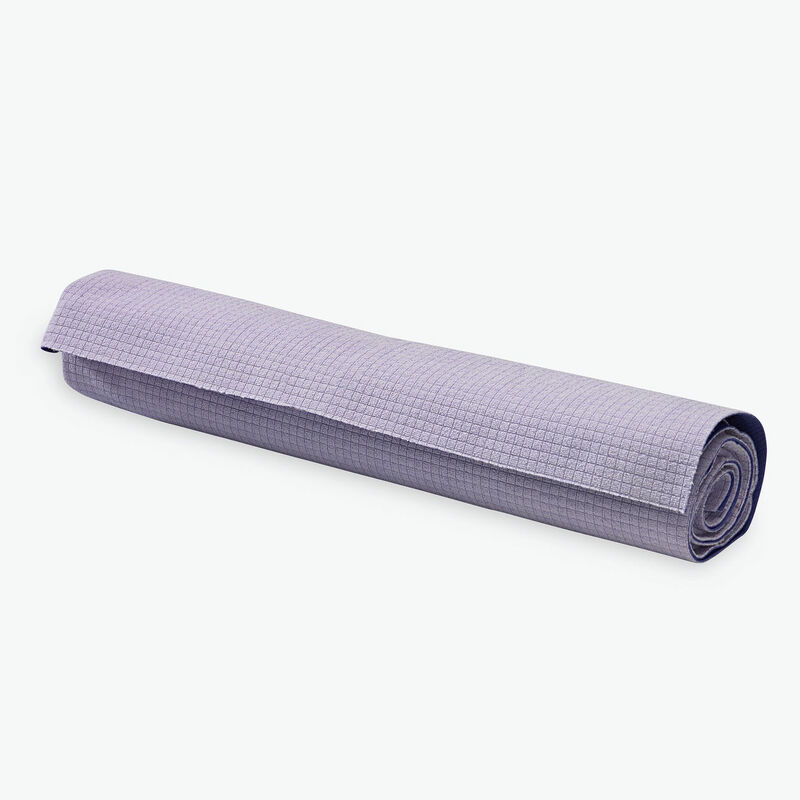 Gaiam's No Slip Yoga Towel's microfiber surface absorbs sweat and dries quickly, while the non-slip rubber backing sticks securely to your mat and offers your feet and hands superior grip during heated practices. This towel can also be used in place of a standard mat while traveling. Measurements: 68"L x 24"W. Materials: 65% Polyester, 35% nylon. Care Instructions: Machine wash separately in cold water. Dry flat.